These amazing blogs are must-reads for all new parents! Blogging is a tough job, and being a mom is even more of a challenge. These awards are meant to highlight and honor 100 awesome, talented women who manage to balance both and do an excellent job in the process! Every blog on this list is amazing in its own unique ways, and if you’re a parent, they’re all essential reading with endless amounts of wisdom, parenting and pregnancy advice, laughs, and touching heartfelt and inspirational posts that are sure to make your life happier, healthier and more enjoyable as a parent. I’d love to personally congratulate and thank each and every mom on this list for their hard, tireless work in making our lives as parents so much easier and fun. Without further ado, I present the award for the Top 100 Essential Blogs For New Parents! The Top 100 List: Must-Read Blogging Mamas! A hilarious parenting blog, Pregnant Chicken has had me cracking up time after time. Amy Morrison is one of the wittiest parenting bloggers out there, and she gives a much-needed humorous take on pregnancy and those first few years with your new little roommates. And she dives into the not-so-pleasant aspects of pregnancy and motherhood, tackling subjects like postpartum depression and morning sickness. But with a lighthearted twist. Pregnant Chicken’s tagline is “Keeping Pregnancy Sunny Side up” and that’s exactly what she does. Don’t get it wrong: it might be a funny site, but it’s also full of valuable information all new moms should read! Follow her on: Facebook, Twitter & Instagram! 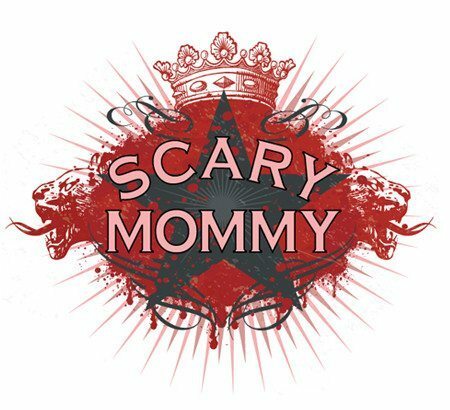 The moms behind Scary Mommy cover everything from pregnancy to raising kids and everything in between, with a hilarious edge. You have to check it out! Follow her on: Facebook & Twitter! She’s also the creator of the Birth Without Fear Conference, a fast-growing event for moms based on the philosophies of her blog, with meetups all over the country. All in all, an incredible blog and a woman we can all take inspiration from! There are so many great baby food ideas on the blog, and they’re broken down into age-appropriate categories, plus you can also buy their neat little baby cookbooks that feature recipes from the blog. If you’re looking for baby food inspiration, you definitely need to check out Baby FoodE! 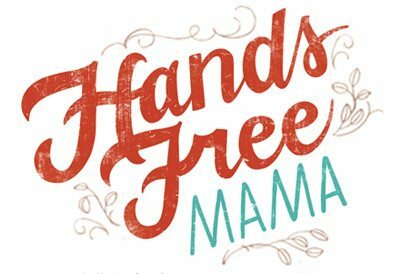 She decided to put her foot down and change things, and this is what her blog, Hands Free Mama is about: teaching and inspiring all mothers to do the same thing. It’s full of incredible, touching and inspirational advice I think all moms should read. It certainly changed my perspective on things, and I think it will change yours, too. Rachel is also an author, with a best-selling book of the same name: Hands Free Mama, as well as a photographer; her blog is filled with wonderful pictures! I commend her on creating a great resource, full of well-researched and helpful information, this is a blog you can’t miss out on, even if only to give some perspective if you’re not a formula feeder yourself. She’s also the author of Bottled Up – a book on the bottle vs. breast debate. Follow her on: Twitter & Facebook! She curates all of the daily deals from stores online and offline, plus writes about tons of ways to save money on groceries, clothing, household necessities and everything under the sun. Plus she has lots of great, inexpensive recipes, money management tips, and resources for parents, too. If budgeting for your new little one is the name of the game, Crystal’s site is one of my favorites! 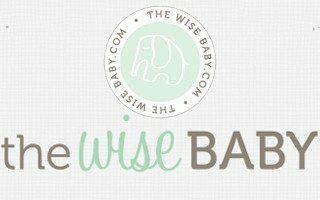 The Wise Baby is a chic, stylish resource for all parents, and should be on every new mom’s reading list. It’s run by a mom and dad duo of Lindsey and Tyler, and features tons of great, helpful information, including baby registry guides, product reviews, nursery inspiration, baby shower ideas, and more. One of my favorite parts of the site is the Real Moms section, where they feature a new post each week full of a featured mom’s favorite baby gear and items. It’s a great place to get ideas! Lindsey and Robert fill their posts with lovely photos, and it really is a highlight of the site. Be sure to check out their Instagram! 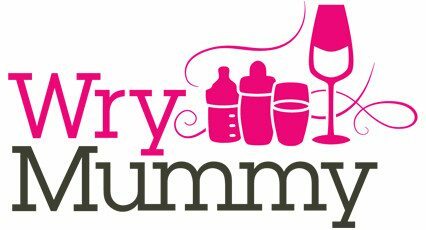 Must-read posts: Baby Registry Advice & How Can I Have Less Baby Gear? There’s also a lot of lighthearted humor: you’ll absolutely love the user-submitted photo caption sections. I just love her blog! You have to give it a look! Ilana also hosts The Mommy Show, a parenting show with celebrity guests like Jerry Spring (yep) and Julianne Moore. This mama never stops working! Follow her on: Twitter, Facebook & Instagram! Jennifer is also a photographer, and her blog is full of wonderful pictures of her family, her life and more. She also recently started making Youtube videos (check out her channel here); this woman does it all! Genevieve started Mama Natural as a resource for parents looking to live a healthier, green, more natural life, and it’s quickly becoming one of the best and most helpful blogs on the topic! Mama Natural covers not only natural living in relation prenatal and baby care, but also in food & nutrition, home & daily life, and more. She also makes great videos on her Youtube channel focusing on the same types of content! All in all, one of my favorite blogs and one anyone looking to live a healthier lifestyle should check out. Deanna Schober’s blog, Fit To Be Pregnant, was started to document her own journey in having a fit, healthy pregnancy after having several unhealthy ones. 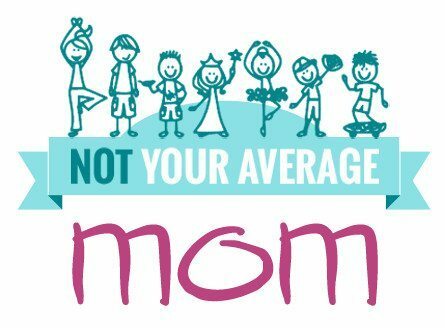 She’s done a wonderful job in creating a well-researched and up-to-date resource for moms looking to do the same thing! Her blog ranges from her personal pregnancy diary, to pregnancy workouts and nutrition advice, along with blogs about getting back into shape after giving birth to her son Austin, which are also really helpful! Deanna’s blog is a great resource through and through. Ashley, the mother of 2 girls, Avery and Mila, blogs at Ashley’s Green Life. It’s one of the nicest green and healthy eating blogs I’ve come across! While it isn’t strictly a parenting blog, it does a fabulous job at covering green and healthy living overall, and that includes the pregnancy and baby side of life, too! One of my favorite things about Ashley’s blog is that she takes LOTS of pictures for her posts, which not only makes it more fun to read, but really helpful. 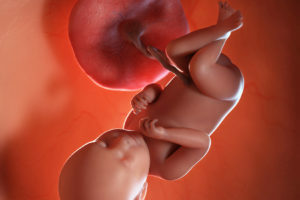 She blogged both of her pregnancies week-by-week, which you’ll find in the “Green Pregnancy” section of the site. Of course, they’re full of great pictures, too! And don’t miss her great Youtube channel, full of more of the same sort of awesome healthy-living advice. Follow her on: Instagram & Pinterest! The hilarious blog of first-time parents April McCormick and FTD (First Time Dad), this is a must-read for all new parents. I think it’s super important to have a sense of humor when you’re a parent, and First Time Mom & Dad is the perfect place to get a daily dose! It isn’t all just humor, though; there is some great, real information on First Time Mom & Dad that is super helpful and informative. All in all, their blog is pretty hilarious and a good representation of what you might go through as a confused first time parent! Giving Birth With Confidence is a parenting blog by Lamaze international, a non-profit organization that promotes a healthy approach to pregnancy, childbirth and the first years of parenting. They’ve put together a wonderful and supportive blog for moms, full of must-read advice, from childcare experts. Their blogging staff includes Lamaze experts, doulas, nurses, midwives, maternal mental health experts, and of course, real moms. They even have a whole section of information for partners of pregnant moms! Follow them on: Twitter & Facebook! For the mom looking to design their baby’s room, Project Nursery is chock-full of awesome design tips, inspiration and advice to design the cutest, most awesome nursery possible. The site itself looks really nice, and it’s full of gorgeous pictures from top to bottom. It was co-founded by Melisa Fluhr & Pam Ginocchio, and has grown to a full team working on the site, and it shows. It’s well designed, thought out, and is incredibly helpful. They don’t just cover nurseries, either: you can find advice on all facets of parenting on the site. They have a section where you can browse parent-submitted nursery photos, so there’s no shortage of ideas here. If you have a nursery you want to show off, you can upload yours too! Follow them on: Facebook, Twitter & Instagram! Uplifting Families is Christy Garrett’s motivational and inspirational blog for all parents of kids of all ages, from infants to teenagers. The blog covers every topic you can imagine that relates to raising a family, from dealing with the tricky baby milestones to the uncomfortable issues that arise when parenting a teen, and she does an awesome job at it. For the new moms, she has excellent resources for breastfeeding and baby care, and also covers the planning and preparation that comes before starting a family. It’s a full resource and has tons of great information: you can’t miss out! Leah Segedie and the team behind Mamavation put together an outstanding green & healthy living resource for moms that you can’t miss out on. I love how everything is well-researched and reliable, and a lot of the content is eye-opening, that’s for sure. 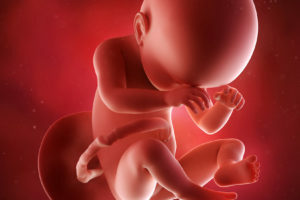 They expose the hidden dangers behind foods and baby products, as well as giving healthy living and eating tips, and even beauty and fashion advice. Leah is also a food activist, and strives to educate moms on how to have a healthier family and home. For the health-conscious mom, Mamavation is a blog you can’t miss out on! I think you’ll be shocked at some of the things you learn. Another hilarious parenting blog written by Susie, a mother of 7. She talks about the things other people don’t talk about, and that’s what I like about her! For a sarcastic, hilarious and authentic blog about the realities of raising a modern family, Not Your Average Mom is awesome. Susie isn’t afraid to drop an “f-bomb” or two, which isn’t something I personally mind, but I should warn you! Tech Savvy Mama, the blog of former teacher and mom of 2, Leticia Barr, exists to inform and educate parents about the world of technology, both as it involves not only themselves, but the family as a whole. And it does an excellent job at it! Not only does the blog cover technology (including every type of gadget under the sun), but it also delves into the topics of child education from toddler to teen, as well as lifestyle and home and safety. Suitcases & Sippy Cups is all about travel with the family unit, written by Jessica Bowers, a mom of four boys. Her blog is all about being an average family that does awesome things, and it shows that anyone can do it! For parents who want to travel, Jessica’s blog can’t be missed. There’s great travel guides, covering everything from the planning and packing to destination guides and more. Glennon Doyle Melton was a drug addict and alcoholic. After she found herself pregnant, she vowed to herself to sober up and change everything, and that’s what she did. She’s the woman behind Momastery, and needless to say, hers is an inspirational message and the blog has a powerful message behind it. Glennon also started a nonprofit, Together Rising, which has the goal of helping needy women get the help they need to flourish like she was able to. Momastery is full of great, touching and inspirational posts, and those that really make you reflect on the whole parenting journey and experience! Must-read posts: Here is the Key to Unlocking Your Child’s Heart & Every Child is Gifted & Talented. Every Single One. Megan Francis & Sarah Powers have a simple philosophy behind their blog: they want to answer the question “How can I have a happier home?” And that’s the focus: living happier, healthier and more peaceful family life in all ways, shapes and forms. The blog is realistic, not idealistic, which is a very welcome change from some of the “all-too-perfect” blogs you may have come across. It’s full of awesome, actionable advice and tips to live a more fulfilling and happy home life, and you’ll get so much out of it if you give it a shot. 100 Days of Real Food is all about cutting processed food out of the home and having you and your family eat only a healthy, real and nutritious diet! Lisa Leake started the blog as a way to track her family’s progress in eating real food – that is, unprocessed, unrefined food – for 100 days, and its exploded into a massive movement, and incredibly helpful resource for families looking to follow in their footsteps. The blog is filled with tasty, real recipes along with wonderful photography of the finished products, along with school lunch and meal ideas and plans, and more. You can also take the 100 Days of Real Food pledge on the blog! Lauren, a mom of 2 and TV news producer is the woman behind Working Mom Magic, a wonderful blog about parenting, fitness, recipes and personal stories from her life and family. Her blog is full of lovely pictures of her and her family, including the adventures they experience on a daily basis, product recommendations, DIY guides, and straight-up helpful advice to live a happier life with your family. GrowingSlower is all about saving money and living frugally, but still having a healthy, enjoyable lifestyle. Shannon is a stay-at-home mom whose family was deep in student debt, and they turned it around in just 9 months by budgeting intelligently and practicing what she preaches. If you’re looking to live more frugally or save money, GrowingSlower is an excellent place to start and get great, actionable advice and guides to start on your journey. She has guides to saving money on groceries, working from home, as well as straight-up helpful baby and parenting advice. It’s an all-around awesome and helpful blog! Julianna Miner’s Rants From Mommyland is a sarcastic, cynical mommy blog. And I love it! She started the blog along with her retired blog-mate Kristin as a way to keep their sanity during parenthood, as they put it. And the result is a hilarious, witty and fun blog you’ll want to keep up with. Katie and Forrest Clark are the parents behind Clarks Condensed, a lovely parenting blog that’s full of recipes (along with nice pictures), great parenting advice, thrifty living, travel and health advice too! Katie is a photographer, and you’ll find tons of really nice pictures to go along with many of the posts. She has photography tips for those that want to follow in her footsteps too. You may have heard of Lenore Skenazy; she has a show on Discovery Life, she’s been featured as a guest and interviewee on numerous online newspapers and shows, and she’s controversial. Her Free-Range Kids philosophy is that we as parents should allow our kids to do things most people would consider insanely dangerous, like riding the subway or playing in the park alone. You may not agree with Lenore’s philosophy entirely, but I think her blog is something all parents should read. It’s easy to get caught up and worry yourself sick over what your kids do, and that’s what she helps parents with. All in all, Lenore’s is an important blog, and even if you don’t agree with her, I think she opens up an important dialogue that you should check out! Fit Bottomed Mamas is the awesome blog written by Jenn and Erin, whose mission is to motivate and inspire women who want to be as healthy and fit during their pregnancy as possible. And after they give birth, too! Erin shares her first-hand experience in being a mom and maintaining a healthy lifestyle in the process, and it’s full of great advice and wisdom. They also want women to do what’s best for their families, and don’t want to pressure anyone one way or another when it comes to those important decisions that must be made. 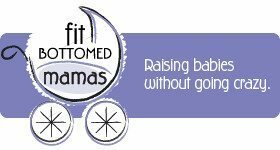 For the mama that wants to improve her health and lifestyle, Fit Bottomed Mamas is a great blog to read! Elayna Fernandez, The Positive Mom, blogs all about empowering moms to be happier, successful, and more powerful women in their home and life overall. It’s all about positive living, and on her blog you’ll find tons of inspiring, powerful posts that you can’t help but feel empowered by. For the mompreneurs, she also gives a lot of helpful advice to help further your career and grow yourself and your business. Elayna is also an author and speaker, and devotes her life to empowering women to be the best they can be. Check her site out! Jennifer Bly is all about living deliberately. Her blog, The Deliberate Mom, is all about this philosophy, and inside you’ll find lots of wonderful articles and advice, along with lots of inspirational posts. She also blogs about homeschooling, and has an ebook coming out soon on the subject, and features blogging advice for other moms who blog. Being a mom of two lovely girls, you’ll find lots of first-hand advice and inspiration to live a happier, more deliberate life. The Deliberate Mom is a lovely blog to read, and one I’d recommend to anyone! Vicki Psarias is the brains behind Honest Mum, a UK lifestyle and parenting blog that’s been getting a ton of attention lately, and for good reason! The highlight of Vicki’s blog is definitely the lovely pictures and posts, but the parenting tips and advice, food, film style & beauty posts, vlogs, tips for fellow bloggers and more are a draw too. My favorite part of her website is the recipes, but there’s lots of fabulous stuff there! 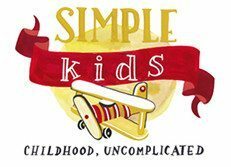 Kara Fleck’s blog, Simple Kids, is exactly what it sounds like. Instead of making parenting a big, complex and complicated thing, Kara believes that it doesn’t have to be that way, and her blog serves as a guide to reconnect with the fundamentals of parenting, taking things slowly and calmly and having fun along the way! As a mother of 4, she has lots of experience on the subject, and her blog is full of fun ways to keep active and learn at the same time. Not only that, but you’ll find tips on how to live happy and fulfilling family life. It’s a great blog! Brummy Mummy of 2 is the adorable blog of Emma, a mommy of two adorable kids. Her blog is full of awesome, helpful advice for pregnant moms, raising infants and getting through the important milestones, and toddlerhood. It’s real, helpful and candid advice from a real mom… of two! Emma’s blog has so many lovely pictures in every single post, and it’s hard to even pick a favorite. It’s even fun just to follow along with her parenting journey… her kids are adorable! 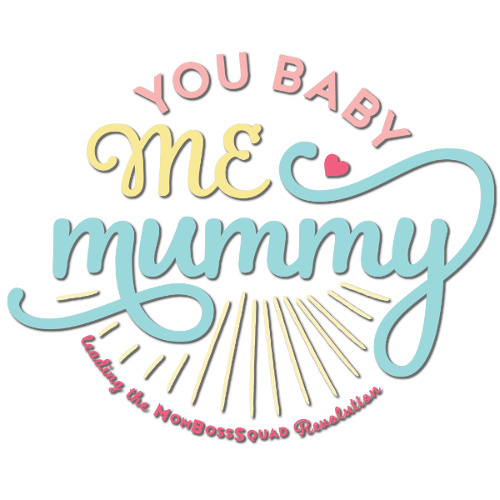 You have to check out Brummy Mummy of 2; it’s one of the most helpful, touching, funny and down-right cute blogs there is. Hellobee is not only a wonderful parenting blog, but it’s also a flourishing community of bloggers and moms who help each other and share in the great journey of parenthood. The blog covers everything from preconception to birth and raising kids, along with deals and fashion, along with touching and fun personal blogs along the way. Don’t forget to stop by their awesome community, too! Wry Mummy is a funny, witty and down-right helpful blog written by Jess, a mom of 3 boys. Her blog has a focus on baby and toddler advice and posts, but she also covers general family-related topics as well as style and lots of others. You’ll find a plethora of advice on her blog, from potty training advice, to surviving outings with kids, to getting them to read, and more! She adds a touch of humor to everything she writes, making it so much fun to read as well as being informative and helpful. It’s a really great blog! Hurrah For Gin is written by Katie Kirby, a mom of 2 and lover of gin. Her blog is really unique, and I had to include it because she draws hilarious little stick figure cartoons along with every posts, which makes it a blast to read. Her blog is focused more on the funny side of parenting young children, and it’s perfect if you just want to blow some steam off and laugh at the whole parenting journey along with her. It really is one of the funniest blogs you’ll find! Kara Carrero, a former high school teacher writes the fabulous blog ALLterNATIVE Learning, which has a focus on healthy, green and sustainable living in the context of the family. Don’t be fooled, though: the blog isn’t just about green living. There’s also lots of practical, helpful advice on dealing with your pregnancy and young children, and if you plan on homeschooling, there’s lots of great advice and guides on doing that, as well. She has the perfect background for it, and she gives wonderful advice that’s sure to help! Follow her on: Twitter, Instagram & Pinterest! Isabel Kallman is the Alpha Mom, and her blog is one of the best you’ll come across, bar none! It has lots of contributors from all over the USA, so you get a wide range of advice and opinions from people of all different backgrounds. Since AlphaMom has been established for a long time, it’s a very complete resources for all things pregnancy and parenting. 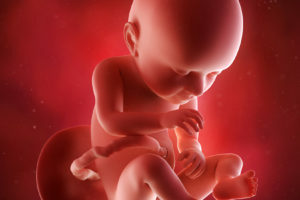 There’s information on everything under the sun, from pregnancy health and guides, to baby gear and informational articles, and family life too. They even have help for your home and family life no matter what you’re looking for information on. It’s a really awesome site! A Baby on Board is the lovely blog of Gillian Crawshaw, a mom of 2 kids with lots of awesome posts and information all about raising babies. She started the blog as a personal journal to record her first pregnancy, but it’s grown into a great resource for all new moms! She covers all facets of parenting, including pregnancy advice and tips, breastfeeding and nutrition, and everything else involved in the journey of motherhood. It’s also full of heartwarming personal photos that you’ll love to keep up with! 42. Make, Do & Push! Hannah, a mother of 2, started her blog Make, Do & Push as an outlet for her desire to write, and to document her parenting journey. It’s become a lovely resource for new moms that I’d recommend to everyone! Make, Do & Push is full of wonderful pictures of the life of her and her family, along with posts about the difficult parts of motherhood like breastfeeding and pregnancy that you’re sure to learn from. The cutest part of the blog is the “what we wore” section, where her little fashion models show off their adorable duds! Belle du Brighton is the lifestyle, parenting, fashion and beauty blog that’s super adorable! Lauren, it’s writer, originally started it as a personal style blog, but it evolved into parenting topics after her daughter, Athena was born. You’ll find loads of adorable pictures of her kids and their fashion, along with reviews of various baby products, pregnancy tips and advice, cloth diapering tutorials and help, and so much more. A Mummy Too is the colorful, chic lifestyle and parenting blog of Emily Leary, a mom who left her long career as a digital marketing consultant to focus on her blog full time after it blew up! And it’s no wonder why: it’s an awesome little blog full of recipes (check out her recipe index), actionable parenting advice. There’s so much great content on A Mummy Too that it’s hard to even categorize it all. You’ll find tons of tasty recipes, parenting advice for every topic under the sun, beauty, fashion and lifestyle advice, and more. You’ll also love the wonderful pictures she has posted along with many of her posts. Jen McLellan’s Plus Size Birth is a unique and much-needed voice in the world of parenting blogs. She started it as a way to empower plus-size women, and give them advice on their pregnancy and learn to love their bodies. While it’s geared toward plus size women, it’s an outstanding blog for any mom. Her community has grown to over 164,000 members, and is a wonderful network of women supporting each other every step of the way through their pregnancy and beyond. Jen is also a speaker and certified childbirth educator, and plans on teaching her own classes this year, which I’d recommend everyone checks out on her site! Katie Ellison’s blog, Mummy, Daddy, Me is an adorable family blog full of amazing pictures and heartfelt posts. She’s a photographer, and it really shows: the pictures on her blog are a real highlight and so much fun to look at. I particularly recommend reading her pregnancy journal, which catalogues the whole journey from them finding out they’re pregnant to giving birth. It’s a touching story, and it gives some real insight to the pregnant moms out there. Katie’s fitness journey is also really inspirational, and she looks amazing after giving birth to two kids. She’s someone we can all look up to in our own health journeys! Launched and published by JJ Ghatt, Bellyitch is more of a fun, lighthearted blog that’s a welcome change of pace. With a focus on celebrity baby news (and celebrity bumps! ), the site also covers nursery decoration ideas, parenting advice, as well as news and reviews. It’s updated several times a day, so there’s always something new to check out on this lovely blog! You can also catch her at JJ Braids, a blog focused on ethnic braid hairstyles. Kerry Louise is the talented blogger behind Oh So Amelia, the gorgeous parenting blog that started as a diary dedicated to her daughter Amelia, but has grown into something big and wonderful. Since starting the blog, she now also has a young son, Harrison, and you’ll find countless lovely pictures of both of them. The blog is like a digital baby book, and it’s absolutely full of really nice pictures that are a joy to look at. You’ll also find product reviews, nursery inspiration, and for the other mommy bloggers out there, tips to grow your blog to be as big and successful as hers is. Joanne, a primary school teacher and mum of one, chronicles her motherhood journey along with her son on her blog The Boy and Me. Her blog is like a diary, filled with nice pictures of their daily lives, play & craft ideas, reviews on toys and other child products, and more. It’s a great place to get ideas on adventures to have together with your son or daughter, travel tips and advice, and lots of really fun stuff you can’t miss out on. Aby’s blog, You Baby Me Mummy, serves as a personal diary of her life in raising her daughter. While its purpose is personal, the result is a lovely blog with lots of helpful advice on parenting and family life that’s helpful to all parents. It’s fun to follow along in her parenting journey, and her kids are definitely characters! Along with the personal posts, you’ll find great guides and articles that will be sure to make your life as a parent much easier. And if you’re thinking of starting a blog of your own, she runs a blog coaching program you’ll want to check out! She also has an exclusive MomBossSquad you can join here! 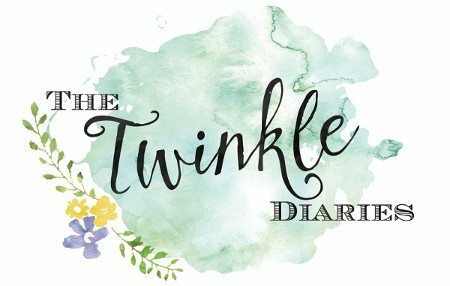 The Twinkle Diaries is the blog of Caro, a mommy of twins born in spring 2013. Like many blogs, it was started as a diary during her pregnancy, and has grown into something much more! You’ll find tons of gorgeous pictures of Caro and her family on the blog, along with a pregnancy diary that details her journey from 17 weeks pregnant to when her twins were born. Along with her journey, you’ll find home decorating advice, touching posts about raising twins from her and other families, and more. Every single post has awesome photos! Hilary Erickson has been a labor and delivery nurse for nearly 15 years, and also teaches prenatal classes. She’s also a mom to 3, so needless to say, the pregnancy and baby health information on her site is trustworthy! She has tons of great information for pregnant mothers, as well as tips for raising happy, healthy and smart kids. On Pulling Curls, you’ll also find household tips and tricks, recipes and meal plans, organizational tips, budget and money-saving advice, and a lot more. Double The Batch is written by a family of 4 sassy sisters, covering a wide range of family-related topics like marriage, recipes, DIY and home tips and thrifty living advice. But the standout section that I think you’ll really love are the parenting & baby advice posts! It’s such a lovely blog, and many of the posts have lovely pictures to accompany them. I think you’ll love to browse through the post archives, because there’s a ton of great information and parenting tips you read. Bookmark this site! Chelsea’s blog, Life With My Littles was originally called Crafty Chelsea. But when she realized that her pregnancy-related blog posts were going viral and that’s the direction her blog was going, she renamed it to Life With My Littles, and the rest is history! This is such a cute and lovely little blog with so much great info for first time moms! There’s info for everything you might want to know, from pregnancy and infertility advice, to childbirth and info for daddy, and baby, toddler and breastfeeding content. There are so many nice posts on here that you just have to check out! 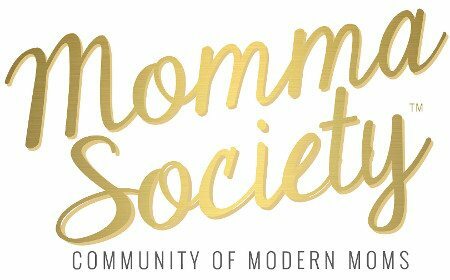 Momma Society is a gorgeous blog and community run by Mandy Roberson, a mom of one, where you’ll find lots of fabulous info on the parenting experience. The blog has several contributors who are experts in different areas, which makes for a good, trustworthy resource. On the blog you’ll find baby gear guides, pregnancy and postpartum advice, articles on caring for your baby, and much more. Plus there’s also fashion, DIY and lifestyle articles for the modern mama! Two Twenty One is the adorable lifestyle and parenting blog of Chelsea McDonnough. On her blog you’ll find lots of tips and tricks to make life as a parent easier and much more fun! There’s so much on here: wedding planning tips and advice, home design (check out the lovely pictures of their home for ideas! ), holiday inspiration, recipes, and of course, baby and parenting tips and tricks. Chelsea also recently started a podcast that I recommend you check out! It’s a great addition to the website and seems to have gotten off to a great start. Julie’s I Like Beer and Babies offers another hilarious take on the whole pregnancy and new parenthood experience. She speaks in truths and makes it all funny too, and that’s what I like most about her and her blog. The blog focuses more on the funny side of parenting, so while there’s not a lot of strictly informational posts, she makes up for it with her hilarious sense of humor that’s cracked me up many times. I think you’ll get a laugh out of it, too! Follow her on: Facebook & Pinterest! CanDo Kiddo is the wonderful blog of Rachel Coley, a pediatric occupational therapist of 9 years. Her goal is to educate parents on the importance of infant development, and what they can do to help facilitate it in simple, easy-to-follow ways! You’ll find an abundance of incredibly helpful and eye-opening information on Rachel’s blog, including why she’s against the use of “Baby-Holding Devices” like swings and bouncers. She also has great resources on tummy time, sensory play, safety advice and a lot more. This is an awesome, authentic and trustworthy blog you have to read! Must-read posts: Mommy Guilt and Daddy Guilt : How To Stop Beating Ourselves Up! & 10 Car Seat Safety Mistakes That Might Surprise You! Follow her on: Facebook & Instagram! Heather Taylor’s blog Incredible Infant serves as a great resource on everything baby-related that might be on your mind. She provides great, factual and well-researched information with a humorous touch, making it a joy to read and very informative to boot. Backing her up is a talented team of writers (all stay-at-home moms!) that help her fill it out with great, informative content. Heather is also a certified infant sleep coach, and offers one-on-one training and help for parents struggling with getting their baby to sleep through the night! 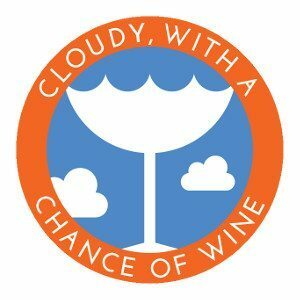 Cloudy With a Chance of Wine is a fun, light-hearted trip through the world of parenting written by Dani Ryan. Her goal is to “uncork the beauty of parenting”, and you’ll find not only great parenting tips and advice, but women’s health advice, hair, makeup, skincare and fashion reviews and more. Of course, you’ll also read lots of parenting advice (with a touch of humor), potty training tips, baby sleep advice, ideas for having fun with your kids, and getting through the tough milestones as they grow. Kelly Holmes is The (Reformed) Idealist Mom, a blogger who started her journey with an idealistic picture of what her life as a parenting would be like. And as anyone will tell you, that’s just not how things work! The idea behind her blog is that we should accept that nothing ever works out as planned, and nothing is perfect, but everything still works out in the end. I like the idea behind the site a lot! It’s full of lots of parenting advice and tips, from birth to toddlerhood and beyond, with nice pictures to go along with them. I recommend reading her “baby must haves” section! 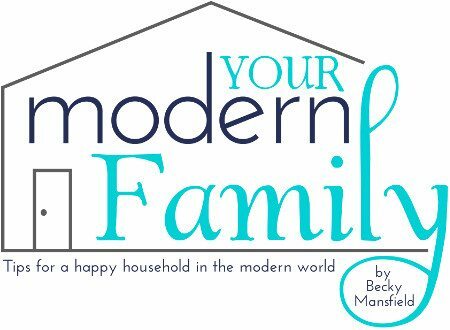 Your Modern Family is Becky Mansfield’s wonderful blog where the tagline is “Tips for a happy household in the modern world” – and that’s exactly what you’ll find if you read it! Becky is a mom of 4, and her family is a great inspiration in filling up her blog with parenting advice and tips, and a whole lot of practical information for making the home a better place to live. You’ll also find potty training tips, ideas on how to budget and save money, and lots of tasty recipes. It’s a really nice blog! Becky also has written several successful and helpful eBooks, including one on the topic of potty training in a weekend! The philosophy behind Katie McLaughlin’s Pick Any Two is simple: we as parents can’t possibly do everything perfectly, so you should try to be okay with that and make choices without apology. And I love it, because while we all go into the parenting journey with an idealistic view of what it will be like, that just doesn’t happen. Katie’s previous blog was about healthy living, and so Pick Any Two is also filled with helpful, actionable advice to live a healthy, happier family life, as well as be a healthy and happier mama. I particularly love her section on body image! Of course, it’s full of inspirational, helpful advice for moms of babies and toddlers, and a focus on you as a mom. That’s something a lot of people neglect to think about. The Uphill is a different kind of blog, but I had to include it. Ruth Crilly started the blog as a personal journal to document her pregnancy week-by-week, and the result is an incredible, blunt and real documentation of a pregnancy journey. It’s recommended reading for all pregnant moms! Her blog starts at week 19 and ends with the birth, so you can follow the journey from (almost) beginning to end. While her pregnancy chronicle is over for now, you can check out her popular and lovely fashion & beauty blog, A Model Recommends. Must-read posts: Things People Say When You’re Pregnant & …and Then I Had a Baby! Mama Say What?! is written by a lovely team of mamas that give real ideas and advice for all mamas and mamas-to-be! My favorite part of the site is that it’s written by a big team of real moms, so you get diverse and trustworthy info at the same time. I also love the posts that spotlight a mama and her story. It’s often super easy to relate! There’s a big section that I’d recommend to all pregnant women: the real beginnings section, which is full of advice for us pregnant mamas as well as dealing with infertility, birth, and breastfeeding. The site is also full of home and DIY guides, relationship questions and help, reviews of children’s products, and lots more. Follow them on: Facebook & Twitter! The Jenny Evolution is the wonderful blog of Jennifer Hughes, a navy wife and mom of boys. She started her blog as a personal outlet for her struggles in raising her two boys with Sensory Processing Disorder, but it evolved into something much more. It’s meant for any mom, and serves to help us grow and evolve into better moms and people! Jenny’s blog is full of great, real insight into the trials and tribulations of parenting, dealing with Sensory Processing Disorder and ADHD (a must read if you’re struggling with these issues), plus more: she has ideas for fun kids activities, crafts and recipes. The Budget Mama is written by Jessi, a southern mama of two, and her blog is committed to helping her readers live (and thrive!) on a budget. Her blog serves as a public and very open journal of their budgeting and expenses in their journey to pay off their debts. The reason why I love and recommend this blog is that it’s a huge inspiration and guide for every family looking to budget and keep their spending under control and still thrive in the process. You’ll find actionable tips on how to cut out expenses, save on baby gear, lots of DIY ideas, and thrifty meal planning tips too. Do yourself a big favor and check out the Budget Mama if you want to save money in your day to day family life! Dirt & Boogers is the gorgeous blog of Amanda, a former mental health counselor-turned-blogger and a mom of 2 who has created a great resource for all parents to turn to when dealing with the trials and tribulations of parenthood! Amanda’s background as a counselor shines through in her advice, which is extremely helpful for dealing with the tough situations you’ll inevitably run into as a new mom. From getting them to eat solids to temper tantrums and beyond, you’ll find advice for dealing with it on Dirt & Boogers! 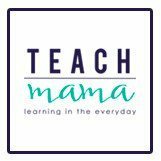 Teach Mama is the excellent teaching resource created by Amy Mascott, a woman with an impressive resume: she’s a mom of 3, a former high school English teacher, a public speaker, and a reading specialist and literacy consultant. Her blog is a reflection of that, with tons of great information on educating and teaching our kids! Amy’s blog is just awesome. There’s information for teaching and growing our kids no matter what their age is, starting from the earliest years to teenhood and beyond. There’s content on all of the big topics: reading, writing, math and science, plus fun (and educational!) activities for kids. All in all, Teach Mama is just an incredible site! Picklebums is the adorable blog of Kate, a former preschool teacher and mom of 4 cute kids. Her background shines through in her blog, and it’s a lovely read for all kinds of family fun ideas and advice on dealing with the troubles that come with raising a family! Picklebums has a lot of handy printables that you’ll want to check out. She has stuff for getting organized, budgeting, meal planning and of course, fun activities for the kids, like comic book templates and decorations. Check out Picklebums for some fun ideas for playing with the kids! Mess For Less is a treasure trove of ideas for playing with (and educating) our kids, and that’s exactly why Vicky started the blog! Her blog is a great reference for all moms looking for fun ideas to keep the kids busy and learn at the same time. You’ll find tons of kids activity ideas, and craft ideas, along with a healthy dollop of tasty recipes and of course, parenting advice. She says she has no business giving it, but I disagree; she’s clearly doing an awesome job as a mom and blogger! Elena’s blog The Art of Making a Baby was started to chronicle her and her husband Andrew’s journey from TTC (trying to conceive) to pregnancy, the birth of her daughter Alexis, and beyond. In doing so, she’s created an awesome resource full of information for parents in their pregnancy journey. Over time, the site has evolved to include helpful baby product reviews, health and fitness advice, articles about the joys and challenges of parenting, and more. It’s so good! Tove Maren, a Danish/American mama of 4 write the blog Mama in the Now. The philosophy behind the blog is exactly what it sounds like: it’s about living in the now, and not sweating the small stuff. Plus it’s all about empowering moms to be confident, strong women and the very best moms they can be! Tove’s blog is well-rounded: there’s a lot of practical advice on all facets of parenting and raising kids, and that includes encouraging you as a mama and making your life as easy as possible, too. The Simple Parent is a charming and awesome blog written by mother and daughter team Mariah Moon and Carey Wheelock (or Grambo, as she prefers to be called. The Rambo of Grandmas!) filled to the brim with lots of fun content! The blog used to be called Formula Mom, but she recently rebranded it as The Simple Parent. On it you’ll find travel and road trip advice, guides on how to make the home a more pleasant and more organized place to live, lots of tasty recipes (with pictures to go along with them), DIY and craft, and of course, lots of parenting advice. JD Collins writes the fantastic blog A Semi-Delicate Balance, her diary of being a military spouse and working mom. On her blog you’ll find lots of helpful personal insight and advice on parenting, and being a working mom or military spouse. One of the things I love most about A Semi-Delicate Balance is the abundance of lovely images everywhere. JD really knows how to make her blog look nice, and it makes it stand out amongst her peers. While she’s a military wife and her blog is centered around it, don’t be fooled: this is a great blog to read for any mom! Happily Ever Mom is the lovely blog of Katie Joiner, a mom of 2 and former preschool worker. I love this blog because it’s so well put-together, and it’s also full of lovely pictures Katie designed. Katie’s goal with Happily Ever Mom is to share her experiences as both a mom and childcare professional in order to help our fellow mamas around the world. And I think she does an awesome job at it: there’s so many great posts on her site that I don’t even know where to begin! She has tons of fun kids activities; it’s a great resource for ideas on how to keep active, plus advice on all facets of family life and raising happy, healthy children. Must-read posts: 7 Ways to Rock Being a Stay at Home Mom & How I Was Wasting Time at Home with Kids…and How to Stop! Breastfeeding Place is written by a group of mamas from different backgrounds: birth assistants, lactation consultants, nurses, work-at-home moms and La Leche League leaders who all have one thing in common: they’ve all had their share of breastfeeding troubles. Their blog helps parents find easy and actionable solutions to these problems, along with guidelines on what’s safe (and not safe) to eat while breastfeeding, dealing with feeding multiples, and lots of answers to questions you might be having. If you’re looking for a great resource for those breastfeeding questions, you have to check out Breastfeeding Place! The Realistic Mama is the wonderful collaborative blog of a group of very talented mamas lead by Alida, the founder of the site. On the blog there is a ton of fun activities for kids (and babies! ), and lots and lots of advice for parenting. There’s also advice for pregnant moms, and great inspirational posts to make you feel better. Plus I love their DIY and “mom hacks” on the site, plus the tons of great recipes tips and ideas. The best thing about the site is that because it’s written by a team, you have lots of different perspectives. I think it gives the blog a nice and well-rounded feel, and since the mamas have kids of different ages, you’ll find advice not only for babies, but older kids too. The Imagination Tree is written by Anna, a mama of 4 and former elementary school teacher. She started the blog to itch the scratch and as an outlet for her need to teach and inspire children while being a stay-at-home mom. The site is all about creative play, and inside you’ll find so many awesome ideas for craft and play, and it’s all arranged by age so you can find activities that are suitable for your child no matter how old they are. Her background as a teacher shines through, and helps make for an awesome resource that you’ll simply want to bookmark and check back on regularly! Zina Harrington, the mama of 2 girls, is the founder and primary writer of Lasso the Moon, a lovely blog all about making your life as a parent more fun, enjoyable, memorable and easier. Her blog is gorgeous, and it’s full of gorgeous pictures in each of the posts. She has so many great ideas for play and activities, plus a ton of actionable and helpful parenting tips to make your life easier. On top of that, you’ll find a whole bunch of delicious recipe ideas that the kids (and your husband) will love! Zina is also a talented photographer, and for her fellow photographers out there, she also has a lot of advice for making the most of your DSLR camera. Give it a look! 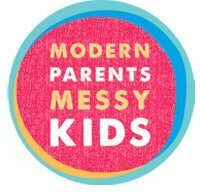 Modern Parents, Messy Kids is the adorable blog of Stephanie and her team that I really love. MPMK is all about living in the moment and not trying to be perfect. On her blog you won’t find guides on how to be the most miraculous and perfect mom ever, but you’ll find realistic advice and guides on how to have fun and keep things simple. The blog covers all areas of modern family living, from kids and play ideas and advice, to simple meal plans and how to organize the home, to general parenting and health, beauty and advice for parents. It’s a really great blog and Stephanie and the team behind it have done an awesome job! Nina, a mom of 3 (including twins!) writes the awesome family blog Sleeping Should Be Easy. Her posts are all meant to inspire, help or motivate you as a parent, and that’s exactly what she does! She serves to make your life as a parent easier and more enjoyable, and does an awesome job at it. On her blog you’ll read tons of great parenting advice, of course. But on top of that, you’ll also find healthy eating advice, personal finance and budgeting help, information on how to best educate our children, and much more. This is a blog you just can’t miss out on! Amanda Morgan, a former teacher and mama of four boys writes the charming blog Not Just Cute, where her background is very evident as you read it! Her blog is generally about child development and advice on how you can help facilitate it in a fun and healthy way. On Not Just Cute there is a ton of insightful posts from someone who knows what they’re talking about! It’s geared more toward the parent and giving advice on how to deal with the struggles and situations that come up. All in all, it’s a great blog! Must-read posts: The Cost of Ignoring Developmentally Appropriate Practice & Can Kids Learn in a Negative Environment? Happy Home Fairy is the lovely blog of Julie, a preschool teacher who blogs to help mothers have a happier, healthier home. Having run the blog for over 4 years now, it’s absolutely full of great posts on all sorts of parenting and home topics! Whether you’re a pregnant mom or have kids already, you’ll find inspirational, helpful advice on so many different topics. Many of the posts are full of adorable pictures of Julie and her family, which make it a joy to follow along with on a weekly basis. Daily Mom is the fabulous blog run by Elena and her awesome team of moms (and dads!) who bring you a whole ton of wonderful content on all parenting topics under the sun! Any topic you can possibly think of is probably covered by Daily Mom, from the early stages of pre-conception and pregnancy, to parenting kids of all ages. Plus there’s lots of guides on green living, advice on how to make the home happier and healthier, travel tips, fashion and kid reviews, and so much more. You have to check out Daily Mom! You’re guaranteed to find something that you love on it! Bump to Baby is the gorgeous baby blog of Alex Gladwin, a mama of two boys. She started the blog as a personal diary when she was pregnant with her first son, and it’s turned into a lovely resource for all pregnant moms and those with young kids! You’ll mostly find excellent pregnancy and baby-related advice on Alex’s blog, along with reviews of baby gear and products, and family and home decorating advice. All of the guides relate to Alex and her family’s life, and she has lots of lovely pictures too. 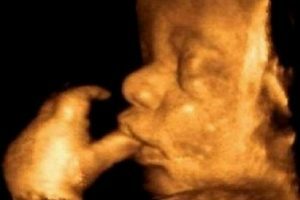 If you’re a pregnant mom, you absolutely have to read her pregnancy diary! It gives a lot of great advice to follow along with! 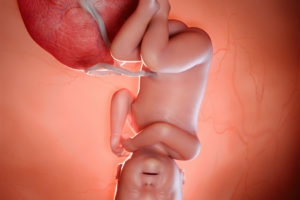 Baby Science is the fabulous blog written by Dr. Wendy Hunter, an emergency room pediatrician and mama of 2. I love this site because it’s all about the science behind child behaviors, things babies do that might scare you, how to keep our kids healthy, and lots more. Wendy gives us a unique perspective with her background as a pediatrician, and a lot of what you’ll read on her site might surprise you! Don’t expect a dry, boring sciencey blog either; Wendy writes with a great personality and humor, and gives it a perfect balance between fact-based, science-backed information and fun, easy reading. Imperfect Families is the lovely blog of Nicole Schwarz, a licensed family and marital therapist and mama of 3 girls. Her blog is full of encouraging, supportive information that clearly reflects her background and gives great, actionable advice that you can use in your daily family life. The bulk of the information you’ll find on Imperfect Families is about dealing with the difficult challenges you might encounter when raising children. It covers topics such as dealing with difficult toddlers, anxious children, and all other challenges you might face. Pint-Sized Treasures is the beautiful blog of Alison Wood, a stay-at-home mama of 6. Her blog is full of great advice to make any parent’s life much easier! Alison only knew how to make mac and cheese when she was married, but having cared for 6 kids, she’s become a wonderful cook, and she’s posted lots of yummy recipe ideas along with pictures that you can follow along with. There’s also practical advice on saving money and living frugally, plus lots of parenting advice and tips. Being a mom of 6 has definitely made Alison an expert that you will want to check out! Abundant Mama is the incredible mom-centric blog written by Shawn Fink. 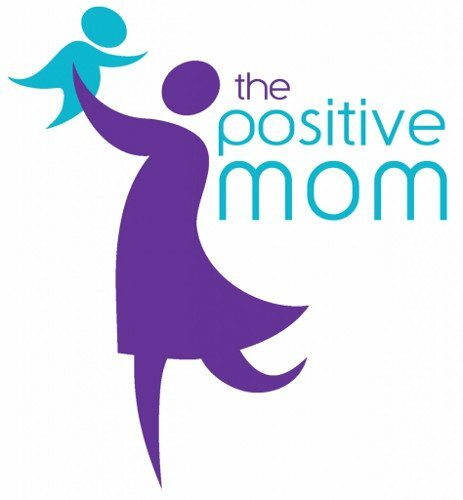 The blog first and foremost serves as a wonderful resource for supporting you as a mom, guiding you on how to deal with the trials and tribulations that come with being a mama. Shawn is an amazing woman who works tirelessly to inspire and push us to be the best moms we can be, and that’s what I really admire about her and her blog! You can always find a great piece of inspiring wisdom or advice on the site, and that’s why you should have it bookmarked. Dayna Abraham was a preschool and first grade teacher for 12 years and a mother of 3, so she has lots of experience in writing her lovely blog, Lemon Lime Adventures. Her background as a teacher makes it easy to see why she decided to homeschool her children, and if you’re looking to do the same, she has lots of advice for doing so. Her background also gives her insight into dealing with difficult situations like upset and anxious toddlers. There’s also practical advice on parenting in general and living a happier, more fulfilling life as a family! Rachel Martin is the voice behind Finding Joy, a blog all about finding the joy in life, especially as women and moms. She writes from the heart; the blog is a personal journey of hers, but she shares it with all of us as a means of empowering and teaching us to do the same. Finding Joy should be required reading for all new moms. It’s such an encouraging blog that you can often turn to when you need a little inspiration; I particularly recommend the “dear mom letters” section, which is full of really touching personal letters to all moms. It’s almost like Rachel knows you, and that’s what I love about it. Alissa Marquess is the founder and editor of Creative With Kids, a blog that started as a personal outlet for her to cope with her loneliness as a stay-at-home mom. It’s grown into a huge, flourishing community offering support for all moms struggling with the same issues! While the blog started out covering mostly children’s activities, it now covers a wide range of subjects related to the parenting experience. There’s advice for dealing with many of the common struggles we deal with as parents, especially when dealing with difficult children. There’s also inspirational and motivational advice for moms, and I think everyone can get something out of it! 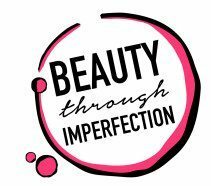 Paula Rollo’s wonderful blog Beauty Through Imperfection started as a personal outlet for her, and she’s filled it up with lots of encouraging posts and advice. She shows us that it’s okay to be imperfect, and there’s really no such thing as a perfect parent, but we can still make the best of our situations and still be happy! There’s lots of great, practical advice to be found on Paula’s blog, for everything to your pregnancy and marriage to parenting advice for your child from infanthood and beyond. And there’s also recipes and simple meal plans that you’ll have to check out! Follow her Facebook, Twitter & Instagram! Moments a Day is the gorgeous parenting blog of Chelsea Lee Smith, a momma of 3 and emergency doctor. Her blog inspires moms to be the best they can be, so they can in turn teach their children to do the same! She helps parents and children grow together, with lots of both inspirational and practical advice on how you can spend just a few moments a day reflecting on how you can live a happier, healthier family life. I encourage you to check out Moments a Day; I think you’ll love it just as much as I do! Rachel Norman blogs all about helping women be great mothers without losing their minds or living in a state of chaos on her blog A Mother Far From Home. Rachel’s blog covers so many different topics, from taking care of ourselves as mamas during the tough times, how to discipline our children the right way, lots and lots of helpful parenting advice and also guides on how to live a more organized and happy home life without going crazy. I particularly like her section on baby & toddler sleep tips, which I know is something most parents struggle with. I know I sure did! Danielle Davis’ blog Today’s The Best Day is all about you as a mom. It’s about helping, empowering and encouraging moms, especially on the hard days; it’s a positive, awesome source for uplifting and positive material to make your day and life better! No matter what stage of parenthood you’re at, Danielle has content that will help. She also has advice for keeping your marriage happy and healthy, staying strong and optimistic as a parent, and straight-up good advice for being a stay-at-home parent of young children. As you might be able to tell, Corinne McDermott’s Have Baby, Will Travel is all about seeing the world with your little bundle of joy in tow. She started the blog after not being able to find the info she needed when planning to travel with her young child, and the rest is history. Her blog is a complete guide to traveling with your baby, covering everything from packing lists, destinations, tips on flying, hotel reviews, baby gear travel guides, and guides on traveling in any shape and form. 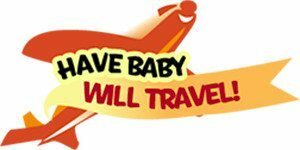 If you’re planning on going on a trip with your child, no matter the scope or length, Have Baby, Will Travel is a blog you need to check out! For parents of fussy, colicky or high-needs babies, The Fussy Baby Site is a blog you can’t miss. Holly Klaassen started the site after facing struggles with her then 5-month old son, and it’s turned into an excellent resource for parents facing the same struggles. It’s filled out with expert advice from a wide-range of qualified writers, including doctors, lactation experts, nurses, moms and psychologists. You can be sure that the information you find on The Fussy Baby Site is not only helpful, but accurate and factual. If you’re struggling with your child or just want to be prepared in the case that you face difficulties, this is an excellent blog to check out! Parenting Chaos is the fabulous blog written by Stephanie Oswald, a mama of 3 and Early Childhood Intervention Specialist which covers all things kids and parenting! Being a child educator, she has a whole ton of resources and education ideas on the site, covering areas like mathematics, science, reading and writing. There are lots of fun educational activity ideas to try out, and she also has good, practical parenting advice for parents. Parenting Chaos is such a fun and informative site that you’ll love to read! Follow her on: Facebook, Pinterest & Instagram! Thanks again to all the amazing mamas for all the hard work they do! You all make being the journey of being a parent so much more of an enjoyable ride! What a GREAT list! Happy to see so many I know! Kristen, your site looks really good too! This is unfortunately the first time I’ve seen it, but it would have probably made the list if I had! This is a spectacular list!! I see many blogging friends on here :-) Awesome compilation! Some of my favorite blogs here! What a wonderful list!! I’m so honoured to be featured! I’m so surprised and honored to see my blog on this list. Thanks so much for thinking of me. I really appreciate it! Thank you for such a comprehensive list. I’ve just discovered some of my new favorites! What a great time to find this! These are the bomb :) I have a 7 month old and a 2 yr old both sassy girls and what a great place for advice and tips. Thanks! Thank you for highlighting my blog, that’s really kind of you and it’s an honour to be up there with such wonderful bloggers. Thanks for sharing such a comprehensive list! This is great. Amazing list. Very useful and informative. Thanks for sharing. Fearless Formula Feeder is an amazing blog! Hope many more people realize that not everyone can breastfeed or some people just prefer not to. Especially considering that current formula is really healthy. The other links also look interesting, thanks for sharing, I should check them out! This is a great list of fantastic bloggers, thank you very much for sharing!